By signing up below, you’ll join our z-Fans community, through which we will send you invitations to be as a Beta tester as well as updates about our future products. z-Fans will be chosen at random to receive FREE product of our pre-release smart hardware in exchange for your valuable feedback. If chosen to be as one of Beta testers for our smart hardware products, you’ll be invited to write a review for it on 3rd party website (such as Amazon, Bestbuy). Join our z-Fans Program now! 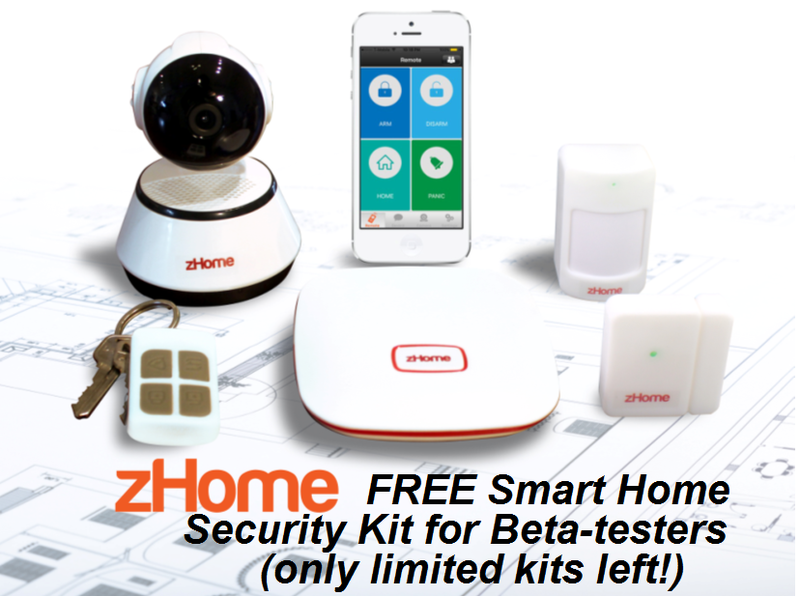 © 2015-2016 zHome Security Systems - Smart Home Automation, Alarms and Surveillance. All rights reserved.